Until I was 15 years old I lived in the Czech Republic, a country that in my opinion is still recovering from communistic regime. Since I was 15 years I have lived in the United States, a country that has never experienced communism. Actually on the contrary, United States were based on idea capitalist system, which probably cannot be more apart from communism or socialism. Right now, I am studying in Santiago, Chile, which is a country like the Czech Republic, they also recovering from socialism. In the Czech Republic (Czechoslovakia during that times) experienced communism under the Russian invasion that lasted for about 21 years. On August 21, 1968, Soviets troops took over Czechoslovakia until the Velvet Revolution of 1989. During Velvet Revolution, the communist regime was overthrown. Chile had communist regime under the dictator Augusto Pinochet, who took over Chile in 1973. He was in power for 17 years, until 1990. So, when I arrived in Santiago, I was fascinated how similar some things and mentality is in Chile and Czech republic despite they could not be further apart. 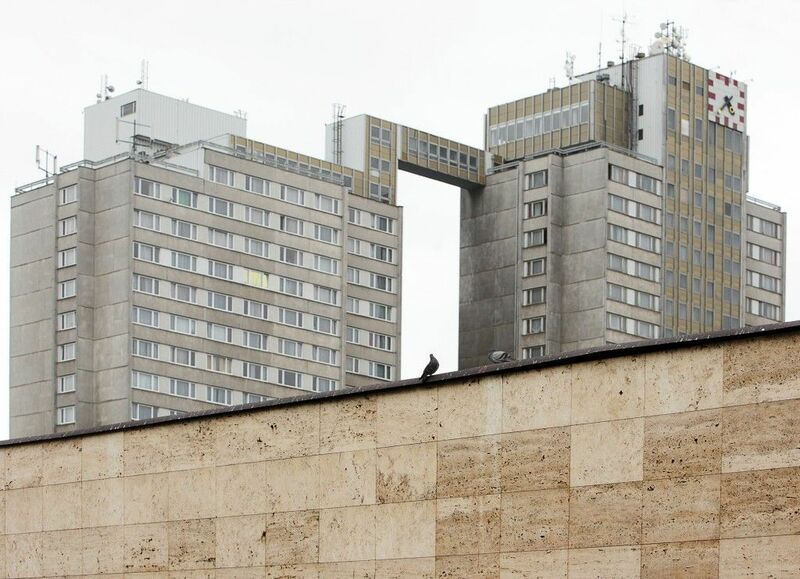 An apartment building in the Czech Republic. 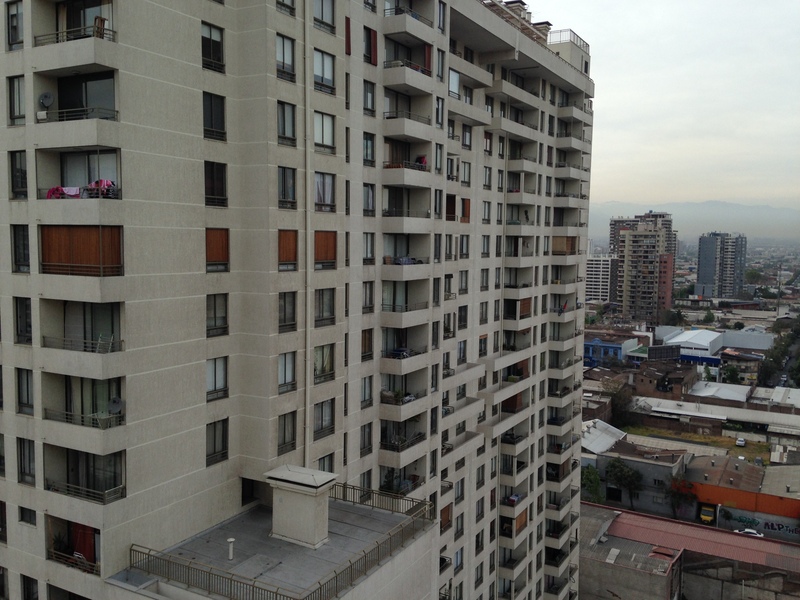 An apartment building in Chile. In both countries many building are painted in gray, but it is not modern gray. This type of gray is specific to countries who were impacted by communism. Secondly, the mentality of wanting to have nice, functional and world class things or services, but for free. Everything has to be for free, but top quality. People in both countries complain about many things. To be more specific, in Chile people complain for public transportation system, education, and health care. In Czech people complain about educational system and health care. All these institutions, both Chile and Czech, are public government owned. That means there is no fee for health care or education because it is payed by the government from the people’s taxes. In Czech people went almost crazy when government set a fee 30 CZK (1,2 USD) for a person every time ones visit a doctor. Similar thing with education. In Czech people would want to have excellent education with possibilities like in the Western World countries, but when they are asked to pay a tuition or contribute, they do not want to pay for anything. They want to have the best quality services for free. In Chile, specifically in Santiago people complain about the public transportation system being awful, but they also complain about being too expansive. 1 ride = 1 USD. The public transportation system is awful, dirty and unreliable (except subway), but they cannot charge more for a ticket, so they can improve the service because people in Santiago already complain about 1 USD having too much to pay. It is not fault of the people, but this is one of many examples to what happens to mentality of people, when they experience communism for a long time. Next Next post: Beautiful Santiago!